Happy New Year, everyone! I realize it’s been a very, very long time since I last posted anything and I am very sorry about that; school, and life in general, caught up with me and I’ve been super busy! Now that I’m on winter break, however, I definitely have more time to write and explore. 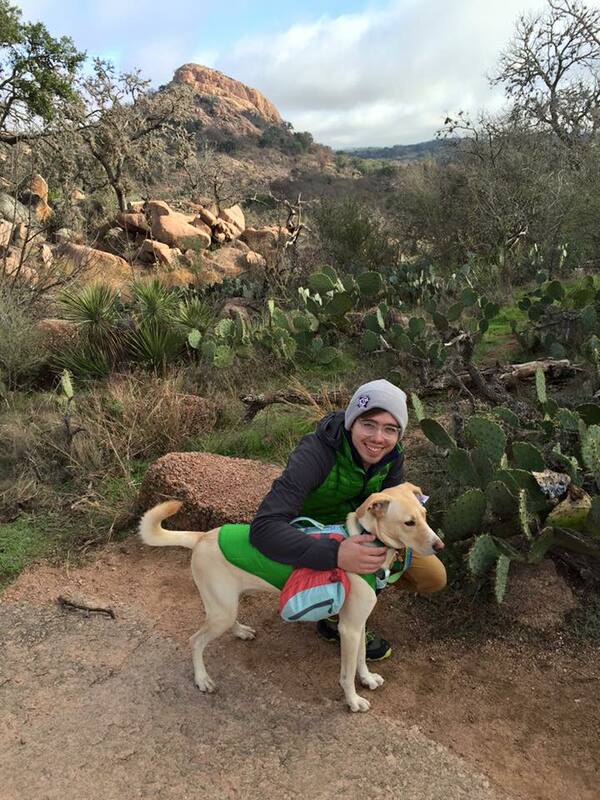 In fact, earlier this week, Zach, Crockett, and I went to Enchanted Rock State Natural Area for some camping and hiking! 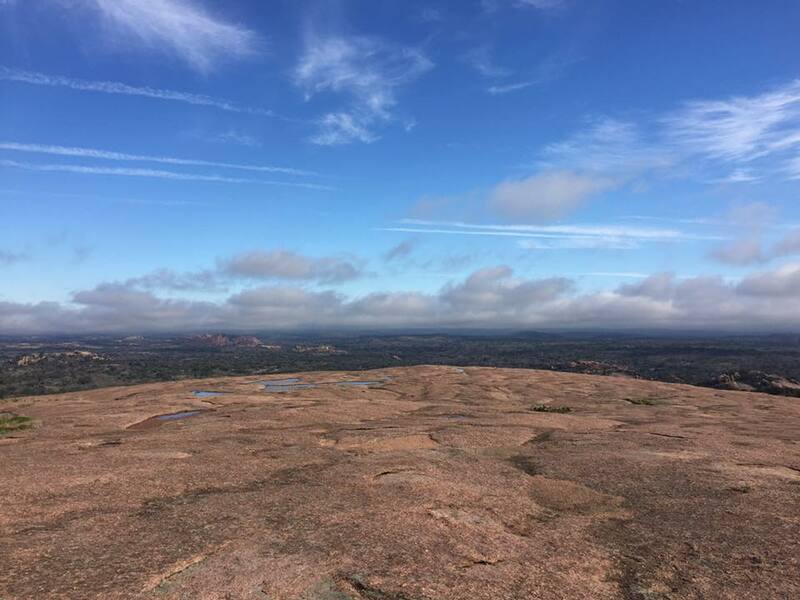 Enchanted Rock is almost always packed, unless you book your campsite way in advance. If you’re just going for the day, going during the winter might be your best bet–it’s a lot less crowded. The three of us decided to go camping here back in October, so that’s when we booked our campsite. I wasn’t expecting it to get too cold, because let’s be honest–we live in Texas. Come this week, a cold front blew through and the temperature dropped very quickly. Looking at the forecast for the days that we were going to be camping, I started to get a little nervous. It was set to be about 45-50 degrees everyday, with temperatures dropping lower at night. With that said, I’m sure you can imagine that trying to sleep in 36 degree weather in a 3-season tent & worn 20 degree sleeping bags wasn’t very pleasant. The second night we had things down, even though my zipper on my sleeping bag broke, by wearing every single article of clothing we packed. As for Crockett, he wore his Kurgo Loft Jacket and was under a pile of sheets we brought for him. By the 2nd night, however, we had decided to head home a day early–we weren’t as prepared for the chilly weather as we had thought. 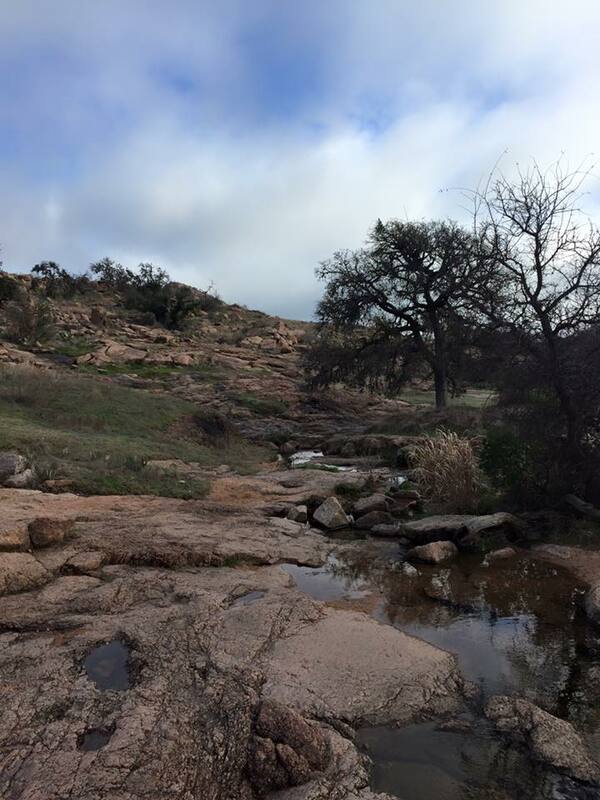 Even though the weather took it’s toll on us (I am now sick), we still had a great time hiking! If you want to take a look at the trail map, you can find it here. 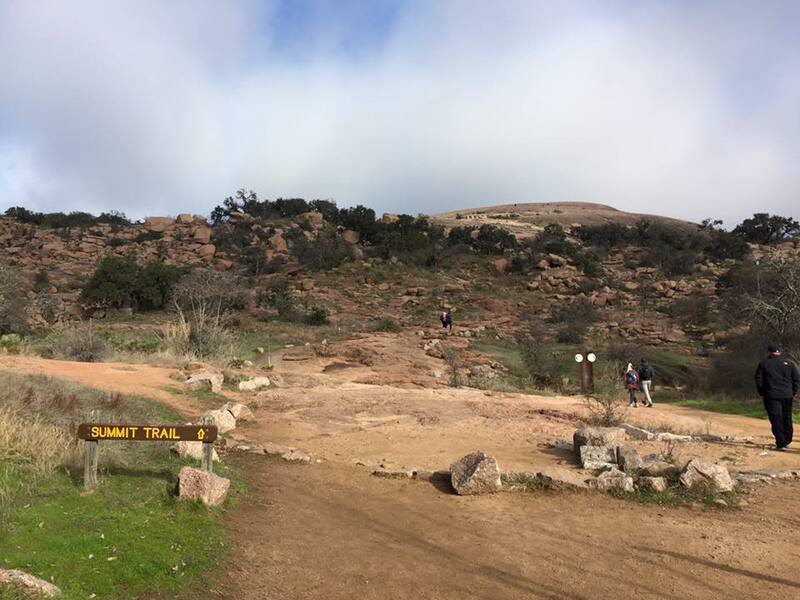 During our short trip, we hiked the Summit Trail, about 1/3rd of the Loop Trail, the Moss Lake Trail, and the Echo Canyon Trail. We loved every second of it! 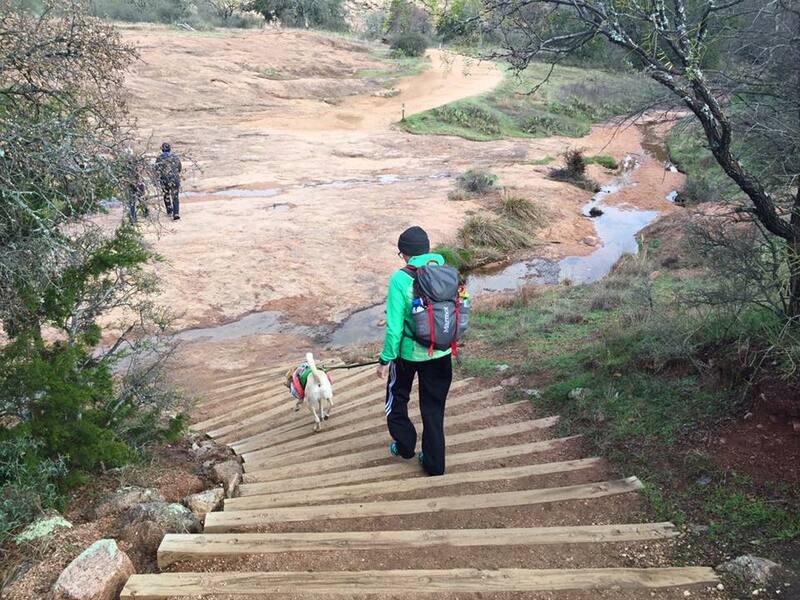 None of the trails were too difficult, aside from the Summit Trail, which is challenging as it takes you up to the summit of Enchanted Rock in just .67 miles. Although, none of the trails were an issue for Crockett; he has the energy of a 2 year old! 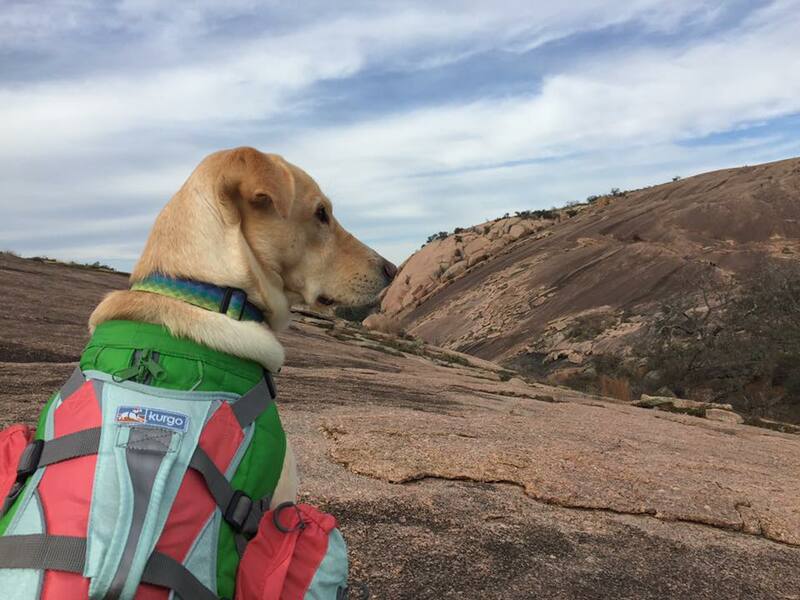 As far as gear we had during our hikes, I had my Marmot Ultra Kompressor 22 Day Pack and Crockett had his Kurgo Baxter Backpack. In my pack, I carried the Ten Essentials: a map, sunglasses, 2 extra shirts, my Petzl headlamp, a first-aid kit, a lighter, a multi-tool, a compass, an MSR Strike Igniter, as well as plenty of snacks and water for both Zach and I. Crockett carried his own water, 1 sandwich-sized bag of dog food, poop bags, and a portable water bowl. I would say we were fairly well-prepared in case we had gotten stuck somewhere! 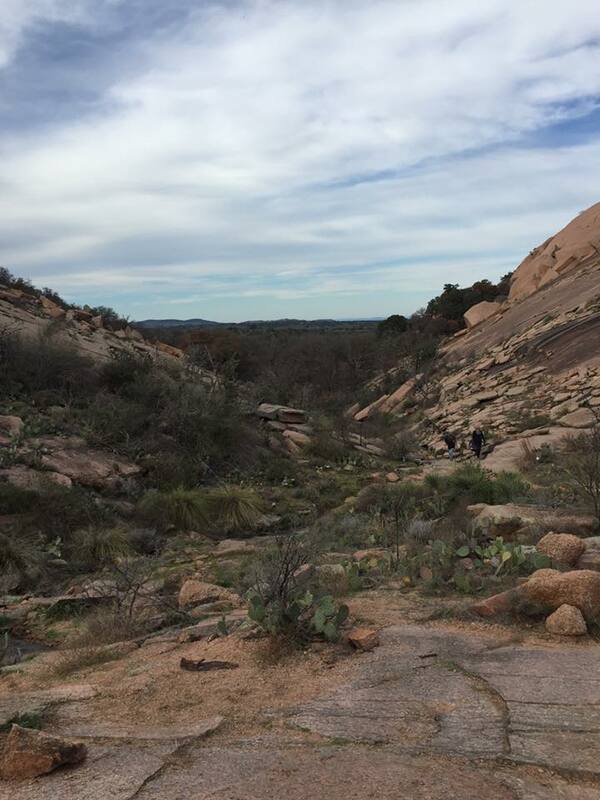 Our hikes left our muscles sore and our spirits high; Enchanted Rock surely is a magical place. You’ll have to check it out for yourself one day to experience the beauty this state natural area has to offer! 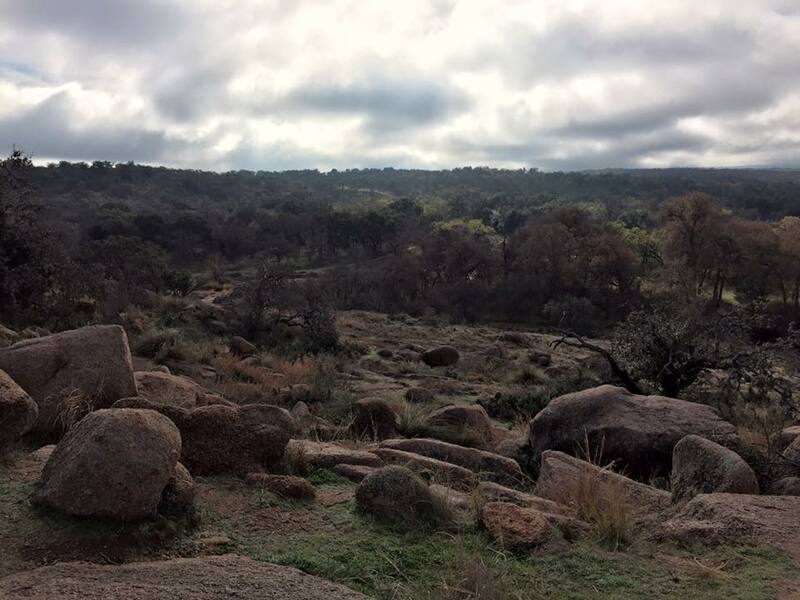 In the meantime, here are a few photos I took, in an attempt to convey the beauty that can be found at Enchanted Rock State Natural Area.